petizione: Tell Mayo Clinic: Stop Killing Pigs for Medical Training! destinatario: Mayo Clinic: Dean Fredric B. Meyer, M.D. ; Thomas R. Hellmich, M.D., M.B.A. Right now, pigs are being killed to train emergency medicine residents at Mayo Clinic in Rochester, MN. They need your help! At Mayo Clinic, emergency medicine residents are instructed to cut into live pigs to practice invasive medical procedures. 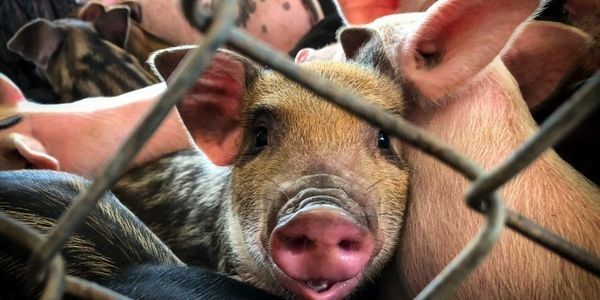 Not only is this cruel, but it is not the most effective way to teach our future doctors – pigs and other animals have starkly different anatomy that must be relearned when treating patients. No animal deserves to suffer and die through this horrific practice! Sign the petition below to Mayo Clinic staff now! Urge them to immediately replace the use of live animals in their emergency medicine program with superior, nonanimal training methods. I am writing to ask that you modernize and humanize medical training at Mayo Clinic College of Medicine and Science Rochester by ending the use of live animals in the emergency medicine residency program. As you know, Mayo Clinic Rochester's emergency medicine residents are instructed to cut into live animals to practice procedures. However, there are validated and widely used nonanimal methods that allow trainees to repeat procedures and hone their skills using anatomically correct simulators or human cadavers. Currently, the use of live animals to train emergency medicine residents is at odds with the 95 percent of surveyed programs (253 of 267) in the United States and Canada that use only human-relevant training methods. In addition, the college of medicine already has a state-of-the-art simulation center that could provide the resources to replace animal use.